This was taken Mid-Fall when the leaves of our trees were starting to fall. That were just the side of the backyard we have, as we started to pile them so we can either shred or compose them. Of course! as a kid, you seem not to care about dirt at all. 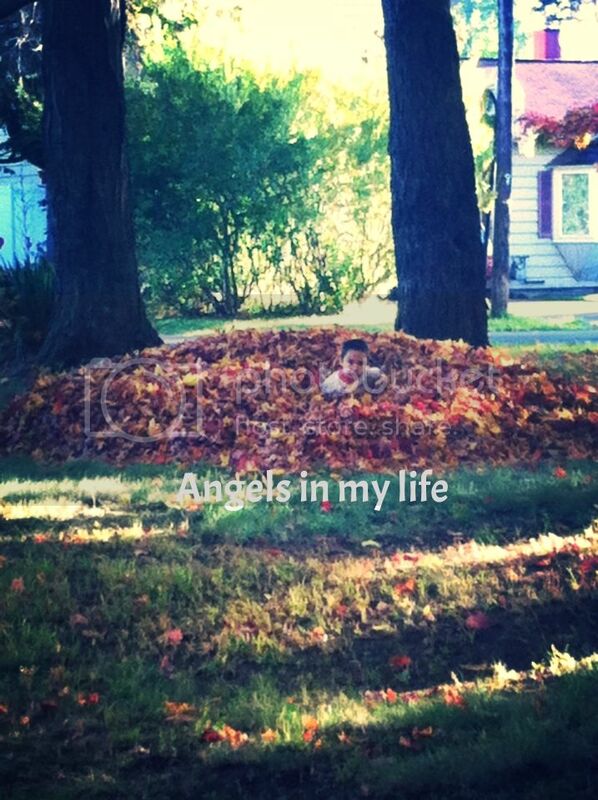 So my son had so much fun playing and diving on the leaves. He thinks is so cool to jump on it and cover himself. As a mother, I took a snapshot for memories and so here it is. Can you actually spot Chaos? This is one part of Fall that I do not miss. In the previous house we lived in, we had to rake the leaves in the backyard. Not fun! I like raking leaves in the fall. :) Our tree is located way back in the backyard so I don't do the raking this time. My husband does. There is nothing more fun than getting dirty from playing in a pile of leaves (unless ants have made their home there!). Not sure if my comment went thru. LOL! Kids really liked the piled leaves just liked my kids! That's cute!